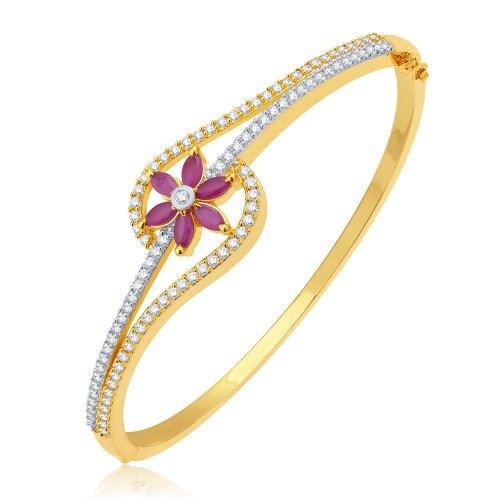 • Store Name: Sukkhi • Product Type: Kada • SKU: 12150KCZKK950 • Colour: Gold & White • Material: Alloy • Plating: Gold And Rhodium Plated • Stone Used: Cubic Zirconia • Design: CAD/CAM • Dimension: Weight: 12 gms • Description: This Sukkhi Luminous Gold And Rhodium Plated Ruby CZ Kada For Women is made of Alloy. 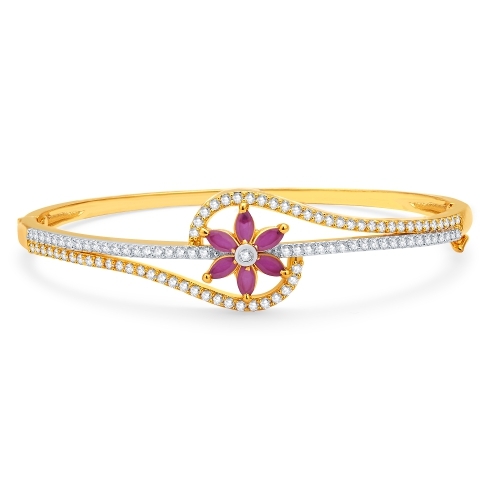 Women love jewellery; specially traditional jewellery adore a women. They use it on different occasion. They have special importance on ring ceremony, wedding and festive time. They can also use it on regular basics. Make your moment memorable with this range. This jewel set features a unique one of a kind traditional embellish with antic finish. • Care label: Avoid of contact with water and organic chemicals i.e. perfume sprays. Avoid using velvet boxes, and pack them in airtight boxes. After use , wipe the jewellery with soft cotton cloth. • Note: The image has been enlarge for better viewing. • Disclaimer: Product colour may slightly very due to photographic lighting source or your monitor settings.